It may seem like sensationalizing, but King City is a piece of artwork. When you spend as much time reviewing comics as I do, reading something this fresh and original is marvelous. 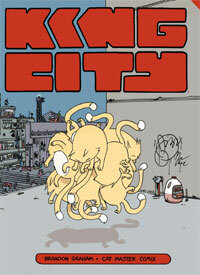 If you read one graphic novel in 2012, make sure it is King City, you won’t be sorry.